This was always going to be a good trip. 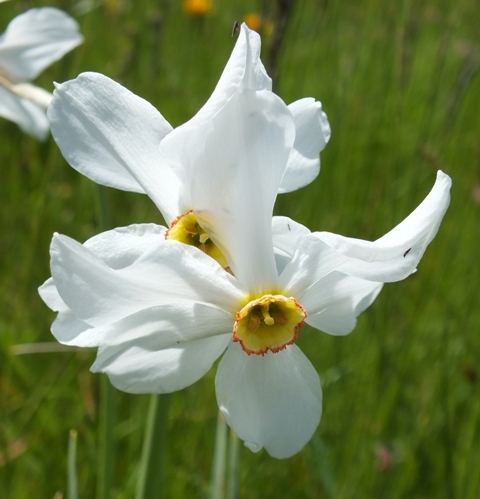 It had been on my ‘bucket list’ since my first visit to the National Botanic Garden of Wales’s Principality House, where visitors are greeted by heart-stopping pictures of spring flowers on the Piano Grande in the Sibillini Mountains. The region isn’t just great for wild orchids; it is also famous for its food and wine. Paul Harcourt Davies is well known not just for his orchid expertise but also because he is a brilliant botanical and wildlife photographer. (Those pictures in Garden of Wales are his, it turns out.) What may be less widely known is that Paul and his partner Lois are also tremendously knowledgeable about the food and wine of Italy – a fact that penetrated my consciousness many years ago when I began corresponding with Paul by email. Cooking is my number one favourite pastime - yes, even ahead of wild orchids! After an overnight stay in Rome, my husband, Pat, and I were collected by Paul, Lois and the other members of the party, who said they were, ‘photographers first but keen on wildlife’. As it turned out, their diverse interests contributed greatly to the group’s pool of knowledge. Lois drove our minibus northwards, through the Umbrian town of Spoleto and into a world of classic Italian agricultural landscape: terraces sculpted for growing olives, grapes and other crops. This trip really drove home to me just how much agri-chemical based farming has cost the UK and most of northern Europe in terms of biodiversity loss. (But I mustn’t get started on that!) Here the air was buzzing with life: colourful butterflies and other insects hotly pursued by Redstarts, Black Restarts and other summer visiting birds seeking to feed their young. Most special of all, everywhere we stopped Cuckoos were calling – a sound now so rare in the UK that it almost brought me to tears. Part of the Central Apennines, the Sibillini Mountains lie between eastern Umbria and the Marche region. Consisting largely of limestone rocks, these mountains were formed 50 – 100 million years ago at the bottom of a sea long since extinct. Monte Vettore, at 2476m the highest peak in the range, emerged a mere 20 million years ago. The landscape of U-shaped valleys and vast glacial depressions that we see today was formed during the Quaternary period. 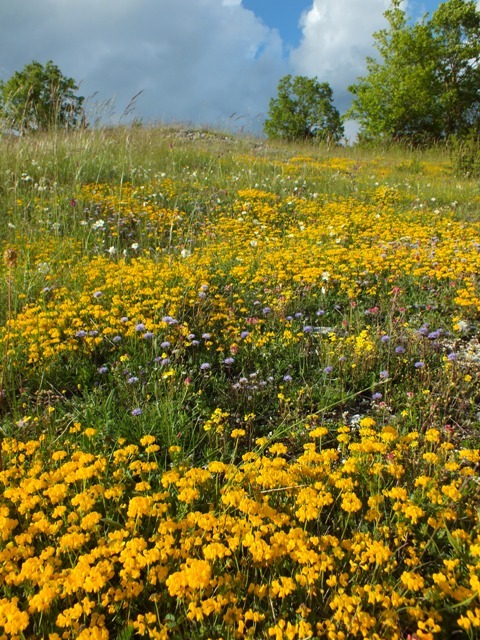 In 1993 the Parco Nazionale dei Monti Sibillini was designated to protect what is one of the most outstandingly beautiful parts of Europe and to promote its wildlife and cultural heritage. 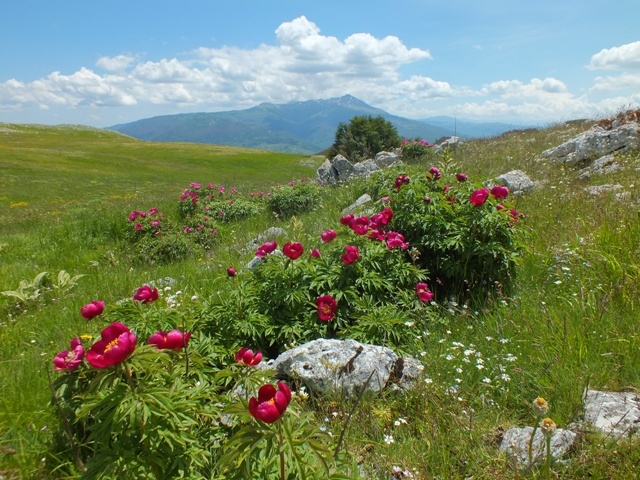 The largely limestone nature of the Sibillini Mountains accounts for its world-famous flora with accompanying insect life, but the area is also renowned for bird watching. 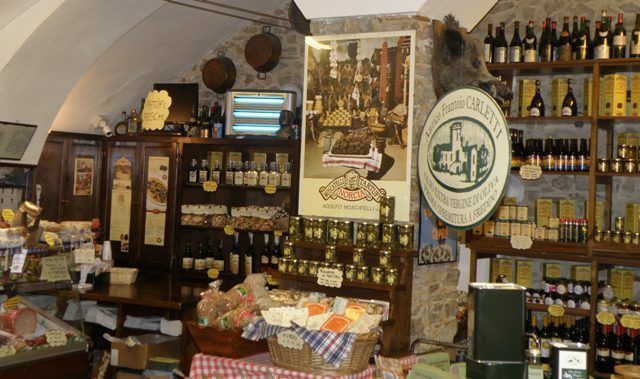 For those who enjoy their food and wine this is a place of many culinary delights, the production of which is centred on the walled town of Norcia. After a two and a half hour drive we arrived at our base for the first part of our week, a small family-run hotel near Preci, in the Campi Valley. The rooms were comfortable and thankfully the restaurant‘s cuisine was as far removed from lasagne and spag bol as could be. After dumping our bags we set off for an initial ramble along roadside verges near the hotel. 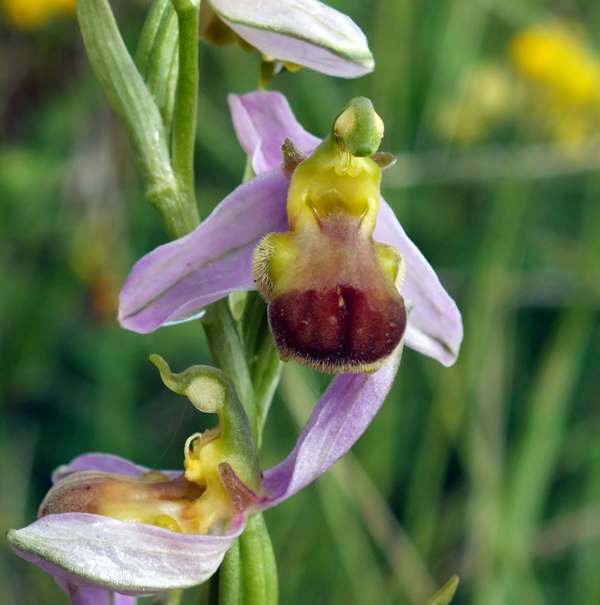 It wasn’t long before the orchid nuts among us had found Bee Orchid Ophrys apifera, Late Spider Orchid Ophrys fuciflora, Early Spider Orchid Ophrys sphegodes, Fragrant Orchid Gymnadenia conopsea and Pyramidal Orchid Anacamptis pyramidalis. The Late Spider Orchids were very variable. Some were much smaller than any we had seen previously - notably in Gargano, where their dark-brown lips are large, square and velvety. 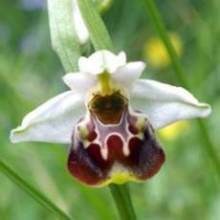 Some of the lips of the Sibillini flowers were narrowly oval and had markings reminiscent of the Woodcock Orchid Ophrys scolopax commonly seen in other parts of southern Europe - the Algarve in particular. Familiar with the variability of Late Spider Orchid in Italy, Paul explained that Ophrys fuciflora in its most recognised form in the Sibillini and Abruzzo regions is joined by further distinctive plants called Ophrys dinarica with flowers characterised by relatively long petals, lips with pronounced forward-pointing apical protuberances, and well-defined pointed side-lobes. 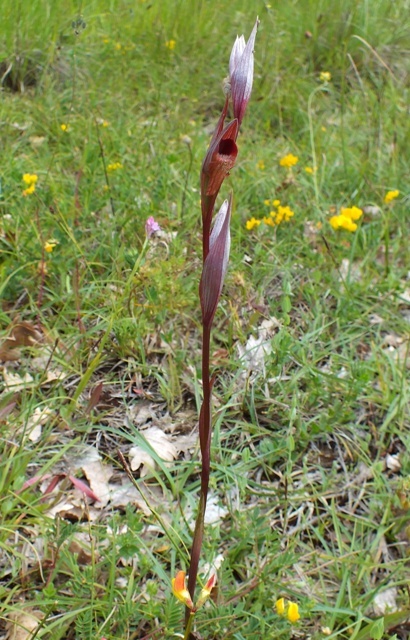 Identification is further complicated by two or more ‘forms’ of Ophrys dinarica occurring within a hillside population along with a spectrum of intermediates. The following day we set off for a short drive to a large area of meadow and woodland which is now being cared for to reinstate wildflowers that had all but disappeared due to previous poor management. The endeavour appears to have been successful. Among the thriving wildflower populations we found some very interesting orchids including the only tongue orchid of the trip, Long-lipped Tongue Orchid Serapias vomeracea. 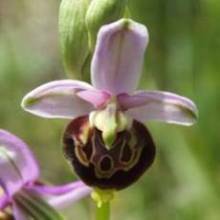 Other orchids in flower included numerous Ophrys apifera, Ophrys fuciflora, Anacamptis pyramidalis and Green-winged Orchid Anacamptis morio. Particularly exciting for me, because I had never seen it before, was Ophrys apifera var. bicolor. 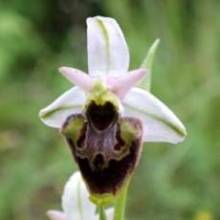 There were a dozen or more of these enigmatic plants growing among ‘normal’ Bee Orchids and Late Spider Orchids. After a most enjoyable couple of hours photographing orchids and trying to photograph butterflies and other skittish insects in the restored meadow, we ambled up an adjacent track to a viewing point overlooking the valley towards our picturesque base of Preci. On the way we found several Violet Limodores Limodorum abortivum as well as some magnificent Lizard Orchids; these were Himantoglossum adriaticum, rather shorter and with comparatively finer and more delicate flowers than Himantoglossum hircinum, one of several other Lizard Orchids found in Europe. 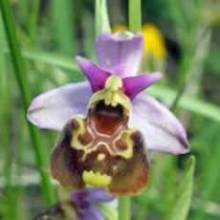 Towards the top of the track was a bank on which there would have been Fly Orchids Ophrys insectifera had not the local council contracted that UK disease which manifests itself in obsessive strimming. The rest of the day was spent investigating easily accessible meadows and roadside verges that were smothered in wildflowers including many orchids. 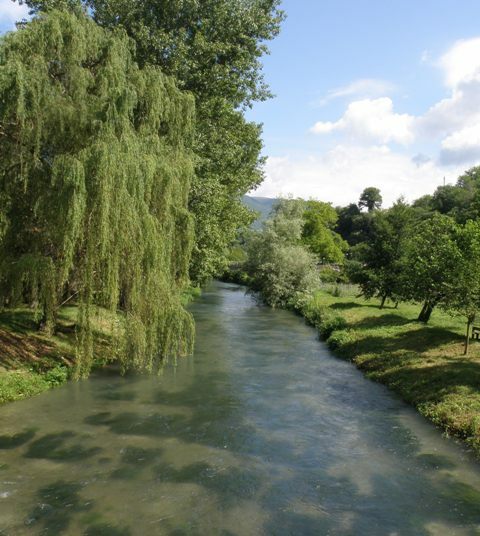 We began our third day with a visit to the delightful little town of Scheggino, through which there runs a crystal clear chalk stream stuffed with wild Brown Trout. Since one of our other great interests is flyfishing, Pat and I regretted not bringing fly rods; but, as the saying goes, we know where they live... The tree-lined stream banks, which held yet more Violet Limodores and Lizard Orchids, were a magnet for butterflies. Leaving Scheggino behind, we drove to a sloping meadow on Monte Mericone, and while Lois set up one of her magnificent picnic lunches the rest of us began exploring. That meadow was one of the best orchid sites I have ever seen. Beneath the trees, we found Red Helleborine Cephalanthera rubra and more Violet Limodores, while in the open area there were Monkey Orchid Orchis simia, Man Orchid Orchis anthropophora, Burnt-tip Orchid Neotinea ustulata and many others. Unfortunately, the weather was against us and black clouds that had been threatening all morning erupted into a spectacular thunder and lightning storm with torrential rain. After a damp but delicious lunch we abandoned that site and moved on. Paul and Lois are experts at ‘chasing the sun’, and they drove us to rain-free patches where we could continue botanising in warm and sunny spots, often just on the other side of a hill. On day four, before moving base, we re-visited the meadow from which we had been rained-off the previous day. We all felt we had unfinished business. 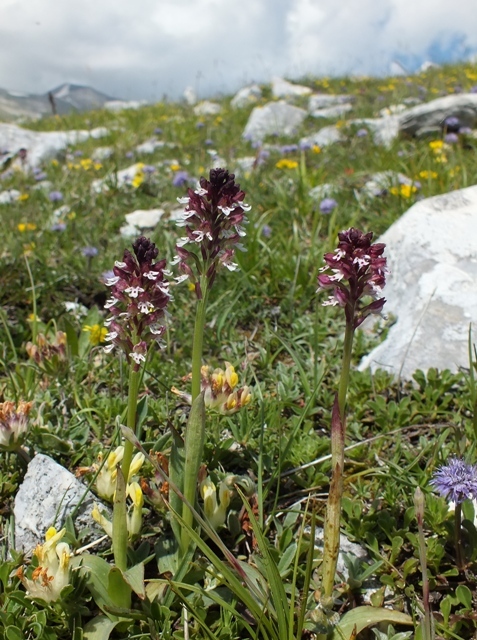 It seems the ancient pastureland of the Sibillini could qualify as World HQ for the Burnt-tip Orchid – they grow there in their thousands, but this meadow was exceptional. 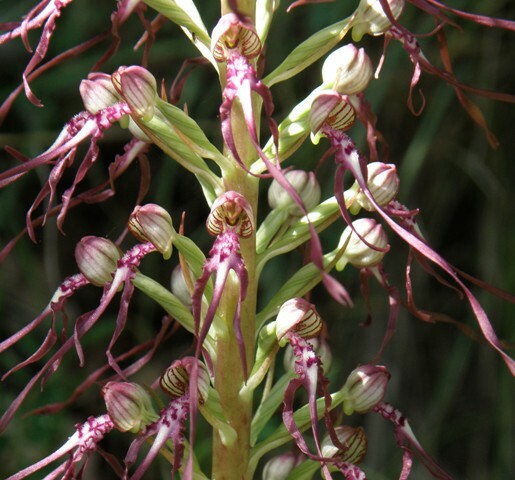 It is also home to numerous Man Orchids, Monkey Orchids and the Toothed Orchid Neotinea tridentata. 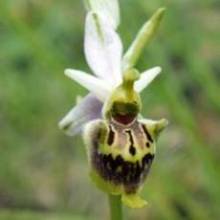 Following a trend evident throughout the region, there were white forms of several species including the Bee Orchid and Late Spider Orchid. 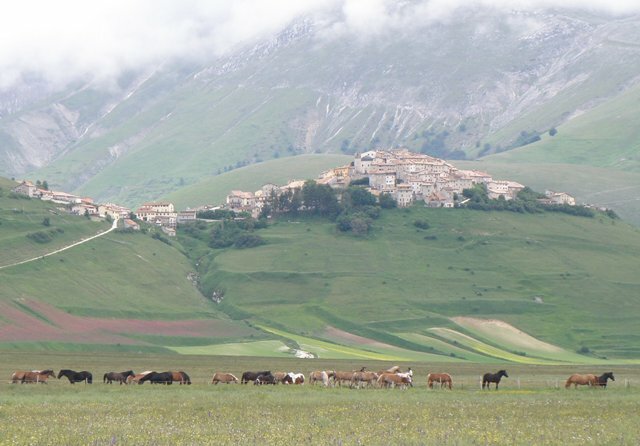 Our next accommodation was in Casteluccio di Norcia, a picturesque village perched on a glacial spoil heap at the northern end of the Piano Grande. En route we explored meadows on the slopes of the Campi Valley, where the roadside verges also proved to be orchid hotspots. On one brief stop we found Fly Orchids growing beside Green-winged Orchids, countless Fragrant Orchids (including several pure white specimens) and, to our delight, one of the rarest British wildflowers, Field Cow-wheat Melampyrum arvense. Other stopping places revealed Narrow-leaved (Sword-leaved) Helleborines Cephalanthera longifolia and White Helleborines Cephalanthera damasonium in profusion and so close to each other that it was a great opportunity to study the differences between two species that some find confusing. Also in evidence on the verges, although not yet in flower, were Broad-leaved Helleborine Epipactis helleborine, Small-leaved Helleborine Epipactis microphylla and, on areas of limestone chippings, Dark Red Helleborine Epipactis atrorubens. As the day drew to a close we made a brief stop in Norcia. Immediately apparent was the absence of any tall buildings; this is not due to uncharacteristic humility on the part local dignitaries, who surely would have chosen to honour themselves with highly visible monuments, but the fact that Norcia lies on a major fault line and has been either partially or totally razed by earthquakes many times. Despite its shocking past, the town is very attractive - and, more importantly, it is the gastronomic centre of Umbria, famous for its truffles, pork and wild boar products as well as the highly esteemed pecorino cheese. This was a great opportunity to make our shopping lists ahead of the visit to a special food shop on the way back to Rome at the end of our visit. Nothing quite prepares you for your first glimpse of the Piano Grande. This vast plain, which was once a glacial lake, suddenly appears as you go over the mountain pass. Despite overcast skies when we first saw it, visibility was excellent and we had a magnificent view of the entire plain and its surrounding necklace of mountains. From a distance it looks like a green desert, and it is not until you descend onto the plain that you realise that the whole area is simply smothered in wildflowers. On our first stop at a viewing point we spent a couple of hours exploring the mountain slopes, which would have been covered with spring bulbs earlier in the year. 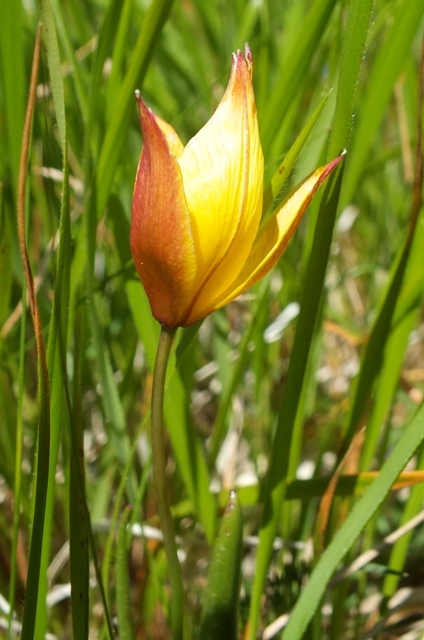 As it was we found just a few late-flowering wild tulips Tulipa australis and patches of wild narcissus Narcissus poeticus, but there were also lots of deep purple examples of Green-winged orchids plus a scattering of Man Orchids and Burnt-tip Orchids. Down on the plain the wildflower meadows were magnificent, but time was moving on and we drove towards Casteluccio di Norcia surrounded by its world-famous lentil-growing fields which continue to produce some of our most ancient and nutritious pulses. Our new base was a comfortable agri-turismo guest house nestling on one of the steep slopes in the village. The restaurant specialised in delicious dishes utilising crops grown in the surrounding fields. Early each morning the plain was shrouded in a mist that swirled along the mountainsides, providing opportunities for spectacularly atmospheric photographs. By the time breakfast was over the sun had burned through the mist, revealing the full magnificence of our surroundings. Mountain weather is notoriously fickle and we had occasional heavy showers, but often the sun shines brighter on the far side of the hill, and we moved from place to place whenever the rain caught up with us. 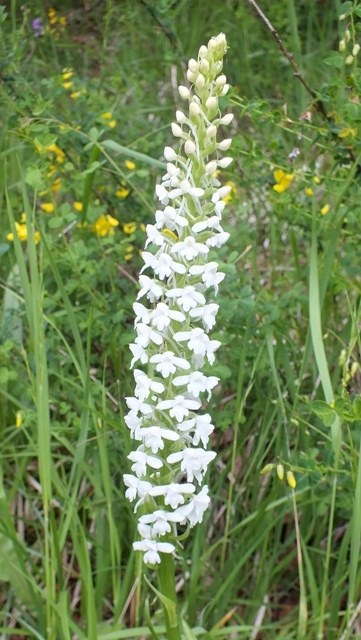 Over the remaining three days of our visit we stopped on some of the high slopes used for skiing in the winter, where among now familiar orchids we encountered the Elder-flowered Orchid Dactylorhiza sambucina in vast numbers. I have loved this orchid ever since I first saw it many years ago on a small island off the east coast of Sweden (where it is called Adam och Eva), and so it was great to find it in greater abundance than anywhere else that I had seen this species in Europe. On the same Sibillini ski slope we also found another ‘first for us’ – Moonwort Botrychium lunaria. Extinct in lowland England but still found in Scotland and Wales, this fern is now very rare in Britain. 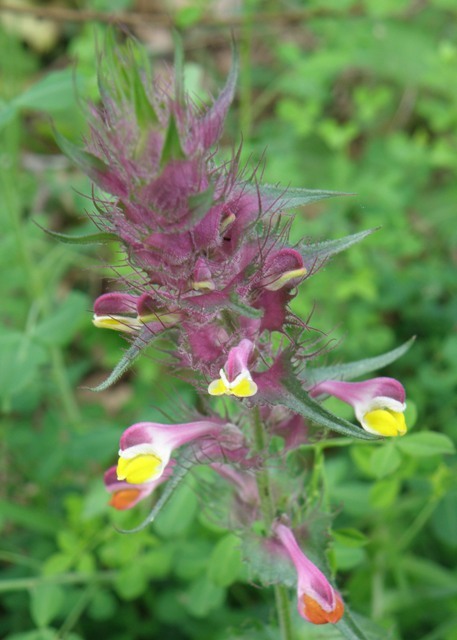 This plant’s name comes from the half-moon-shaped lower (sterile) lobes of the leaves. 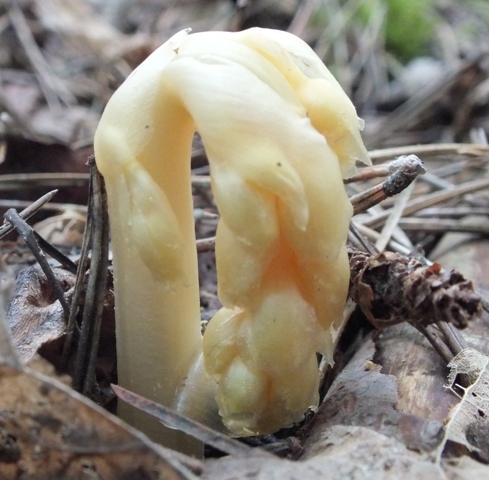 The fertile part of the plant grows above or behind the main leaf stem and consists of a cluster of rounded spores. Its diminutive size (it can reach the dizzying height of 7cm) is probably why I have failed to spot Moonwort in one of its known sites in West Wales - Cae Blaen Dyffryn, which is far more famous for its distractingly large colonies of Butterfly Orchids. A further memorable stop was at a strip of upland woodland to see Greater Butterfly Orchids Platanthera chlorantha growing along with White Helleborines and Bird’s-nest Orchids Neottia nidus-avis. Up the track we discovered Fragrant Orchids, more dark purple Green-winged Orchids and another very rare plant, Yellow Bird’s-nest Monotropa hypopitys. 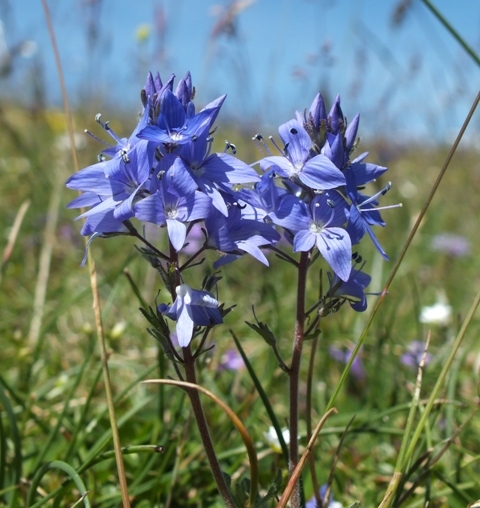 Previously I had only seen one of these anaemic-looking plants, when it put in one of its occasional appearances at Kenfig National Nature Reserve near Port Talbot in South Wales. Here in the mountain woodland a sizeable group of these curious plants created quite a stir among our party. Over the years many of my trips searching for and photographing orchids have been solitary, relying often on dumb luck to find what I am hoping for. There are still many hardy orchids that I would love to see, but as the years pass I am increasingly aware of how little time there is left to find these wonders. Others must feel likewise, for I am also often asked for GPS coordinates for specific plants; this saddens me. A walk in an orchid-rich area is so much more rewarding than parking the car in the nearest lay-by and heading straight for a known location. It may be time-saving but if, as often happens, the plant has failed to appear that year it can be a huge disappointment with no fallback position except to try again another year. An accompanied trip with local experts, such as ours with Paul and Lois, increases the chances of finding ‘bucket list’ species, and other new finds are likely when more pairs of eyes are focussed on the search. The bonus of meeting new people and renewing old friendships adds a great deal to the experience, too.